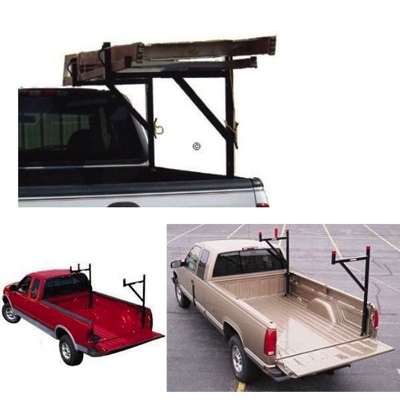 Not only is this truck rack great looking, it is also very practical and extremely versatile. The ingenious design allows for infinite adjust-ability to fit any full size pick up truck (short or long bed). The Side Mount Ladder Truck Rack is extremely rugged and versatile. This rack is constructed of a strong black powder coated steel. It is an excellent tool for anchoring down ladders, lumber, pipe and many other items. The contractor will enjoy the versatility of this rack.